Super-cool sofa made from an upcycled Ambassador (Based on the Morris Oxford!). 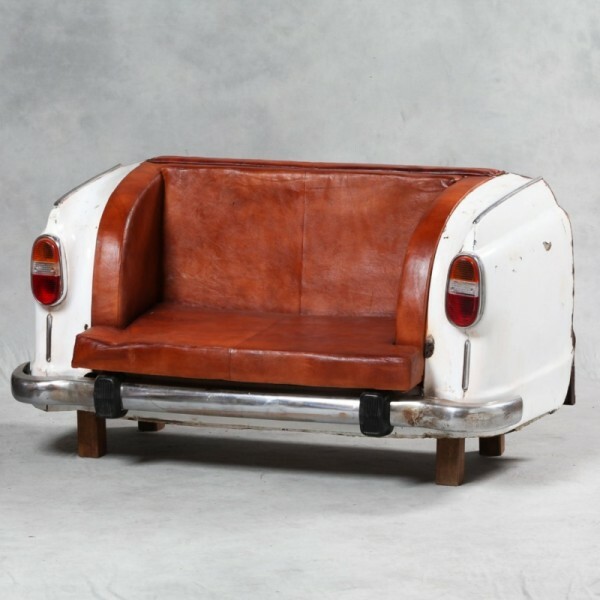 This back-end sofa comes complete with Original chrome bumper real headlights(not working)! !